The first of the Wychwood Carbarns was built in 1913. At the turn of the 20th century Toronto was growing rapidly and streetcars were essential to its expansion. 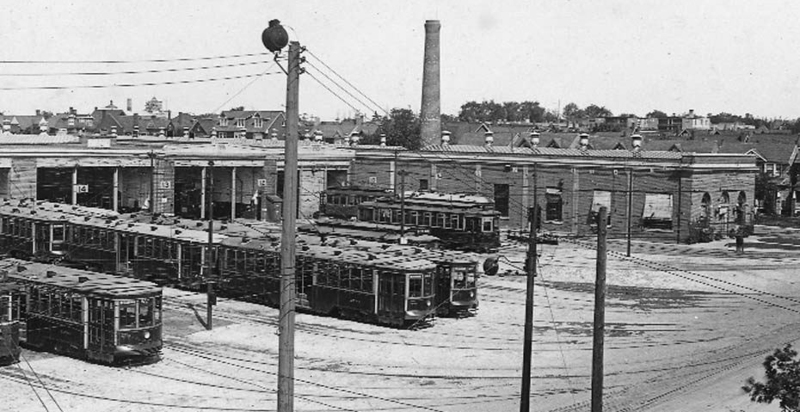 Subsequently four more barns were added to serve ten TTC (Toronto Transit Commission) routes and house as many as 167 streetcars. The TTC closed the facility in 1986. 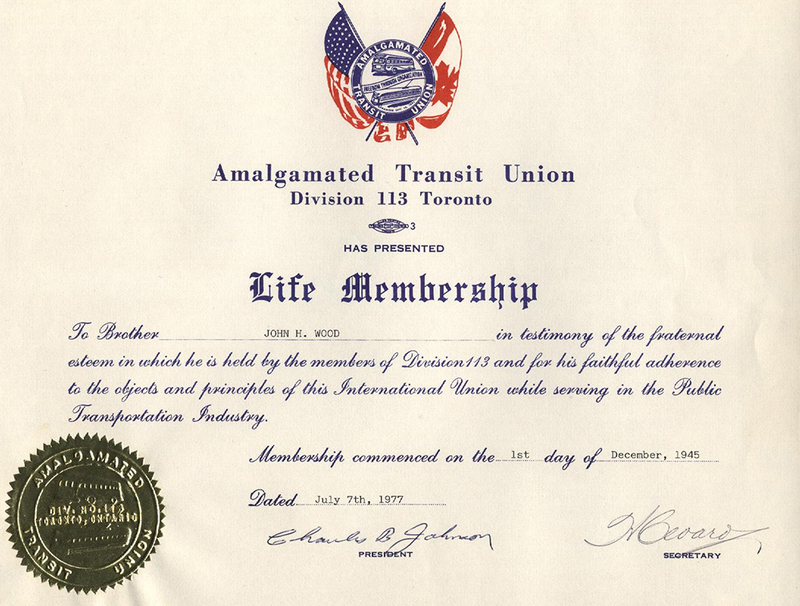 In the 1950s the TTC wouldn’t hire drivers unless they had lived in Toronto for at least a year, so that they knew the city. There was a full complement of cars leaving the Wychwood Barns on several routes all day, and there were four night cars on St. Clair (in the 50s and 60s); that shift ran from 11 p.m. until 8 a.m. Drivers were expected to show up 15 or 20 minutes early, before their shift began, for uniform inspection. The brass buttons on their uniform had to be polished and their badge with their employee number had to be gleaming and pinned on their hat, which they had to wear at all times. They couldn’t get on their streetcar until they passed inspection. This neighbourhood itself became known as a TTC dormitory. Between the Hillcrest yards at Davenport, and the St. Clair barns at Wychwood, hundreds of the workers employed there lived nearby. Neighbours would sit out on their front porches together in slacks and sleeveless undershirts, drinking Carling’s Red Cap beer as they heard stories from the older residents about how the area developed. Some of the houses had been dragged to these streets in the 1920s from somewhere else. Most of the land at the top of the hill was pig and chicken farms before the streetcar lines were built, and people could shoot rabbits from their front porches. 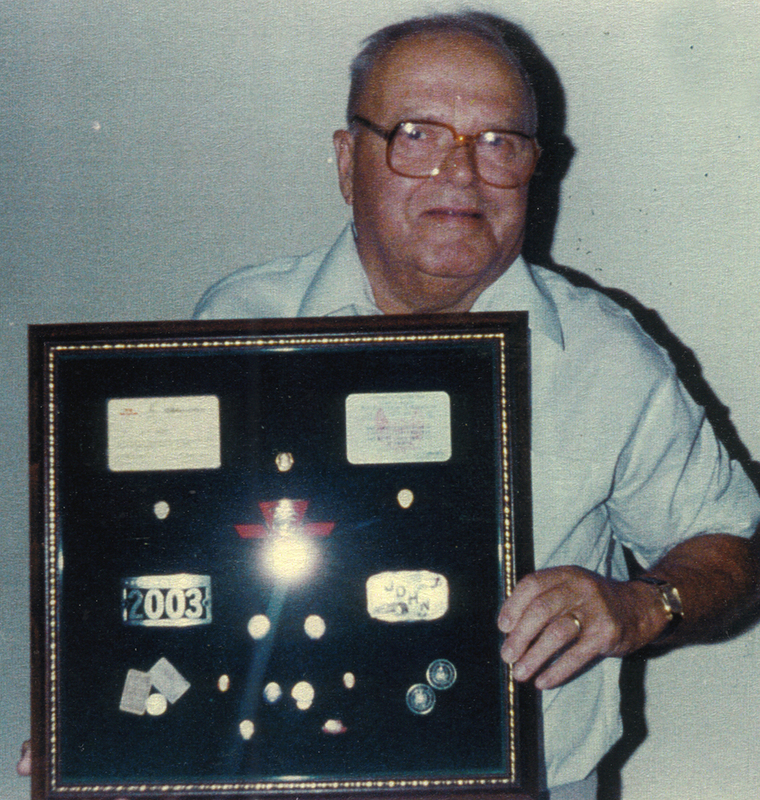 John Wood started at the TTC in 1946, the year he married, and drove the St. Clair streetcar for 25 years. The couple first lived in an apartment on St. Clair Ave. W., and then moved to Cherrywood, where the three Wood children grew up. 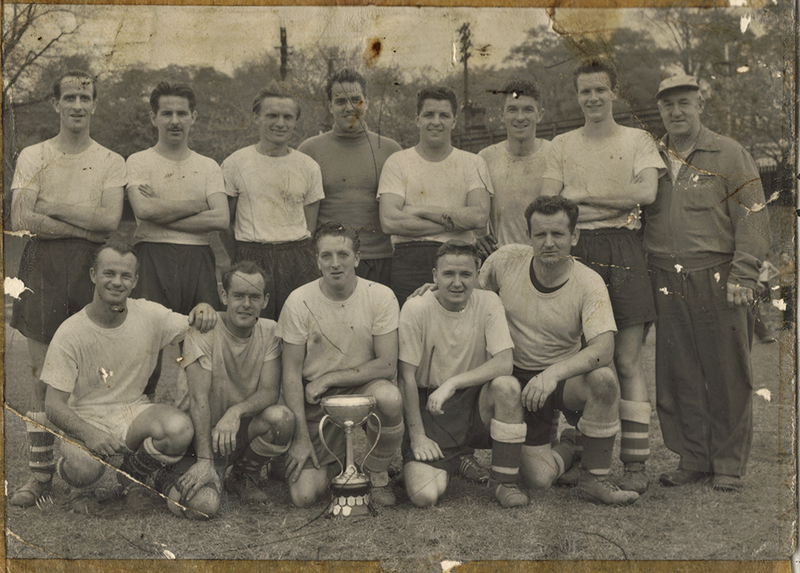 Their friends and neighbours on Atlas, Humewood, Cherrywood, all worked for the TTC and they all hung out together. They even vacationed together on Manitoulin Island and at a cottage in Coburg. There they had horseshoe tournaments and in the evenings played music on homemade instruments. The Wood family was the first to own a TV, so on Saturday night everyone would come to their house to watch the hockey game and play poker after. 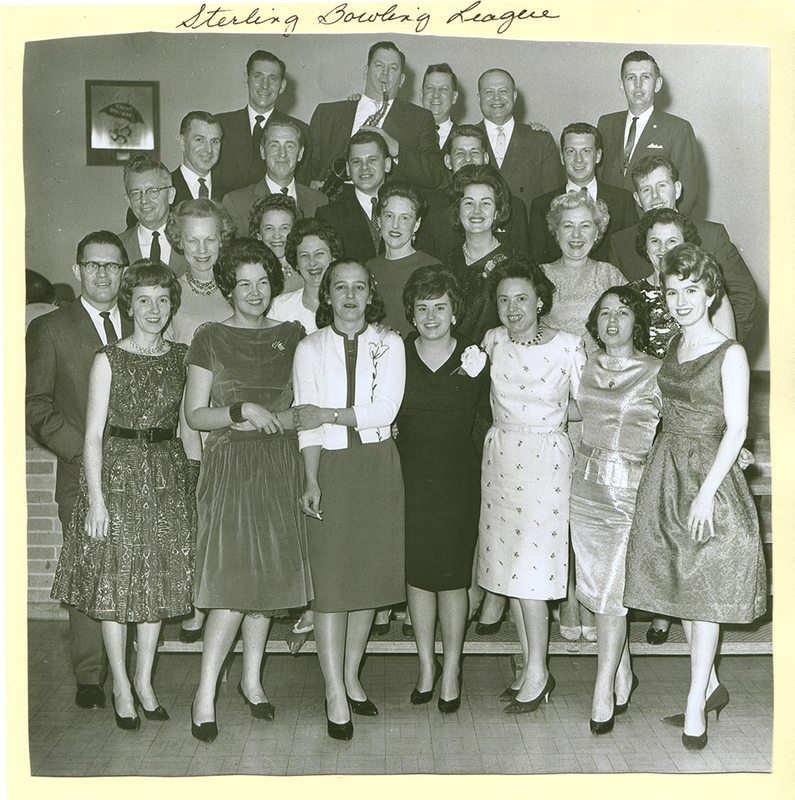 And they’d all go dancing down at the Mapleleaf Ballroom on St. Clair. Everybody shopped at the IGA, which was where the Goodwill store is now. Where the Shoppers’ Drug Mart is used to be Kresge’s five and dime, the local department store. There were several movie theatres on St. Clair, like the old Vaughan theatre. A roller rink operated on the site of that tall apartment building at Christie and Benson. “You didn’t have to go too far to do anything,” remembers son John, who has moved back to the neighbourhood.